A superb example of Honduran craftsmanship, Hoyo de Monterrey Excalibur is carefully crafted in the Cuban tradition with a rich blend of cedar-aged Honduran tobaccos. Medium-full in body, Excalibur offers a balanced taste with satisfying tones of earth and a spicy finish. 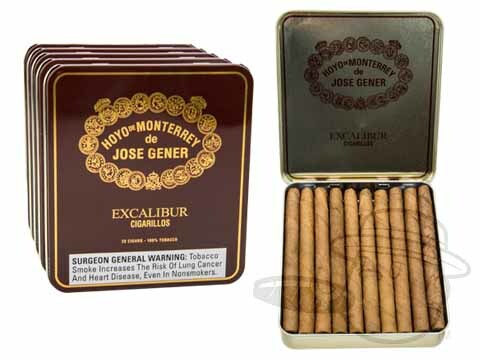 The convenient Excalibur Cigarillos bring you the world-class flavor of Hoyo De Monterrey in a 4x24 quick-smoke cigar you can enjoy in 20 minutes.